Updated all Speedy software and released OSpeedy Batch Photo Processor. 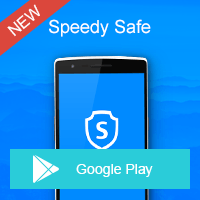 Speedy Safe-the first Android APP of Speedy HLDGS Limited is released. Upgraded video tools, released OSpeedy Video Converter for mac, OSpeedy DVD Ripper. Released the first product for Mac users: OSpeedy Data Recovery for Mac. Released product OSpeedy Driver Updater, OSpeedy Video Converter. Released powerful data recovery software: OSpeedy SD Card Recovery, OSpeedy Photo Recovery, OSpeedy Data Recovery. Released the first product of Speedy HLDGS Limited: OSpeedy System Optimizer. Speedy HLDGS Limited is founded in 2014.